The Companion Pass lets you designate a companion, and book a free ticket for them any time you travel (you’ll just have to pay taxes and fees, which are usually $5.60 each way). For a very limited time, Southwest is offering its best-ever sign-up bonus when you open one if its personal credit cards: you’ll earn a free, unlimited Companion Pass for the rest of 2019, plus 30,000 miles when you spend $4,000 in the first three months. The Companion Pass is the “holy grail” of the frequent flyer, cheap travel, and travel rewards worlds. If you’ve never heard of it, you’re in for a treat. When you have Southwest’s Companion Pass, you can pick a travel companion — a friend, a significant other, a child, or anyone else — and bring them along on any flight you take. They’ll just have to pay taxes and fees, which start at $5.60 each way for domestic flights, and generally top out at $25-30. Best of all, that applies to any flight you book, whether you pay cash or use Southwest’s Rapid Rewards miles. The 30,000 miles that come with the sign-up bonus should be enough to book yourself a free round-trip for two, using the Companion Pass (plus $5.60 each for each flight). Two-for-one flights sounds great, but it can come in particularly useful over the course of the year depending on your personal situation. Below, take a look at a few ways that you might be able to take advantage of the Companion Pass to save money on travel you were already planning — or to unlock vacations that wouldn’t have been possible otherwise. Most of the time when you open a new credit card, there’s a minimum amount that you have to spend in a certain amount of time in order to get a sign-up bonus. In this case, that’s $4,000 within three months of the day you submit your application. Generally, you shouldn’t spend money that you wouldn’t otherwise in order to hit a minimum spending requirement. If you wouldn’t normally spend enough to hit the amount, there are still a few different ways to make sure you get the bonus. If you’re in the middle of planning your wedding for 2019, though, hitting the minimum spend can be a piece of cake. Just pay any vendor deposits or balances with the credit card. This is money you were going to spend anyway, and you can avoid interest by paying the card off right away from your wedding budget. Then, once you get the Companion Pass, you can use it to book honeymoon flights on Southwest. The airline flies all over the United States, and to destinations in Mexico, the Caribbean, and Central America — Southwest also plans to begin flying to Hawaii, although the start date hasn’t been announced. Just remember that the pass is only valid until the end of this year, so if you’re planning your honeymoon for 2020, this won’t be the best option for you. For people in their 20s and 30s, it can feel you spend roughly 100% of your weekends at weddings. Don’t get me wrong, weddings are a lot of fun, but if you live far from home or your friends have scattered all around the country, that can mean a lot of money spent on flights and hotels. If you have a significant other, the Companion Pass offers a way to cut your flight expenses in half for the rest of the year’s out-of-town weddings. Just wait until you hit get the Pass before booking your flights. Then, go ahead and book two people’s flights for the price of one. This is Insider Picks’ senior editor Ellen Hoffman’s plan. She (or her boyfriend Jeff — they’re figuring it out) plan to open the card before the promotion ends, and use the Companion Pass to fly to a bunch of weddings and family events later this year. When you have a Companion Pass, you can’t use it for a different person each time; you have to designate your companion. If your 2019 has a lot of college tours coming up, one parent can earn the pass, and assign their future collegiate as their companion. That should help cut down on expenses. It’s a common scenario among older millennials and Gen X-ers — you’re settling down somewhere far away from where you grew up. Your parents are a few states away, aunts and uncles are on another coast, and cousins are even further away. That means that every time you see family, whether for holidays, birthdays, or something else, there’s a long trip involved. Now double that if your significant other is in the same boat. With the Companion Pass, you’ll at least be able to cut air expenses. One half of the couple can earn the pass, and designate their partner as the companion. 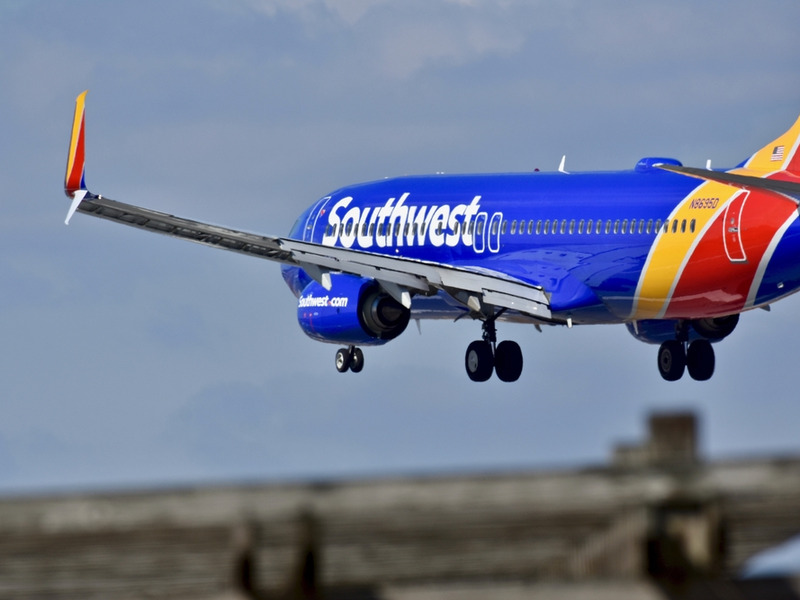 The Southwest Companion Pass is one of the best deals available in the travel world. Usually, you have to earn 110,000 miles or take 100 flights in a calendar year to earn it, but with this deal, it’s as simple as opening a credit card and meeting the spending requirements.